Fresh off a collab with Cardi B, Migos have now linked up with fellow ATLien Hoodrich Pablo Juan for a new single. 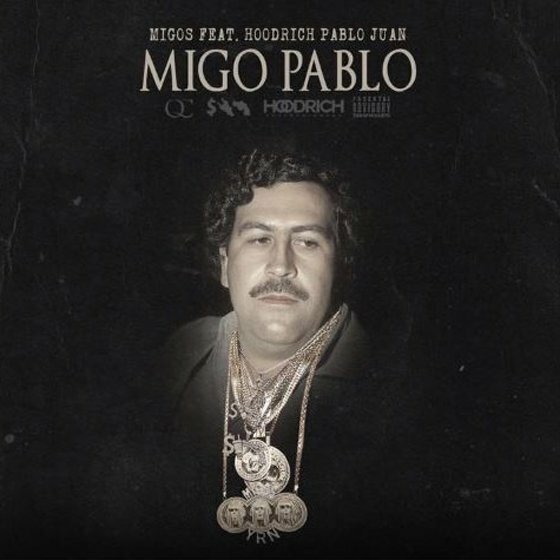 Titled "Migo Pablo," the short, bass-heavy cut features the wordplay we've come to expect from the three MCs, delivered in their immediately identifiable flows. You can hear the track in the player below. Hoodrich Pablo Juan teamed up with Brodinski to release The Matrix EP earlier this year. Pick up Migos' latest album, Culture II, on triple red vinyl via Umusic here. Hear Migos, Future, Young Thug and Hoodrich Pablo Juan Remix Cardi B's "Drip"